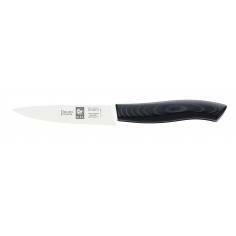 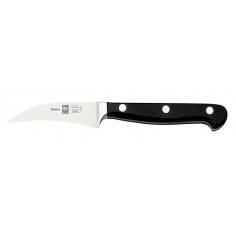 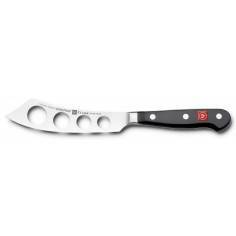 Wusthof Classic Ikon Utility Knife 12 cm. 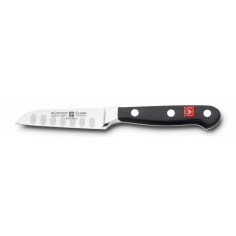 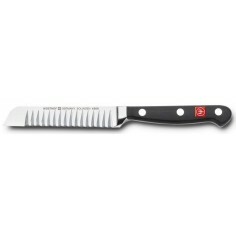 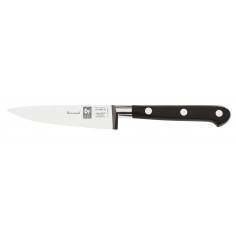 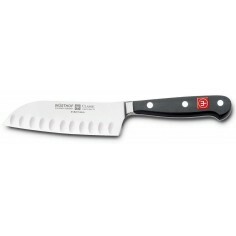 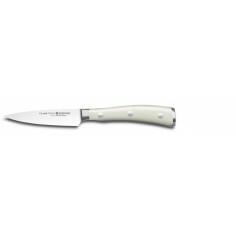 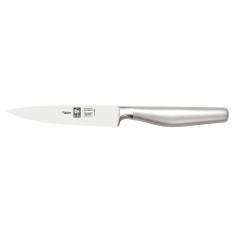 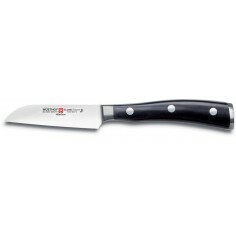 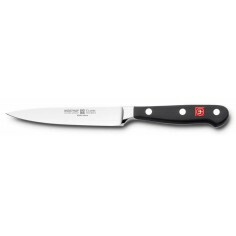 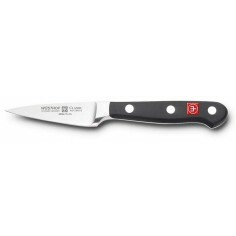 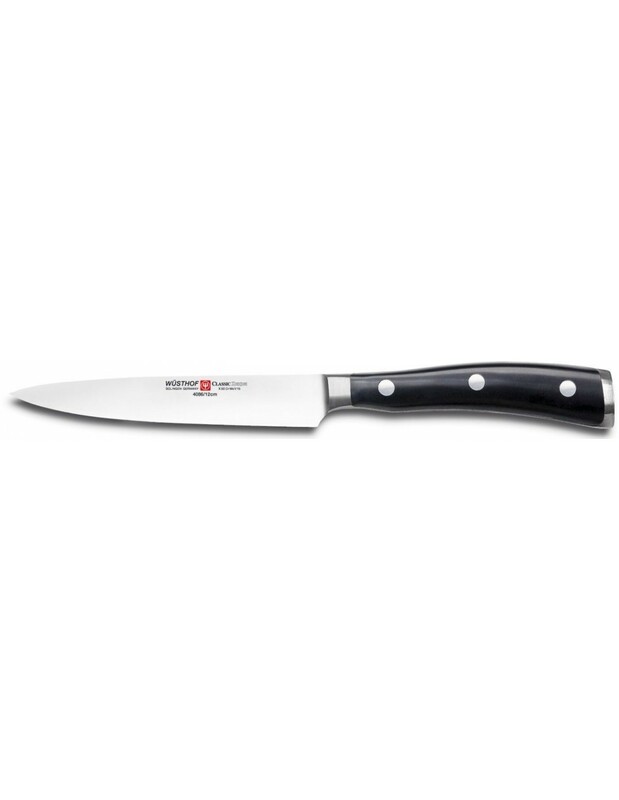 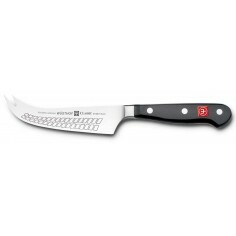 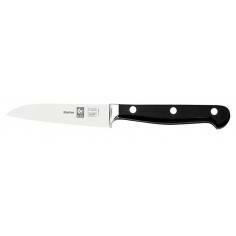 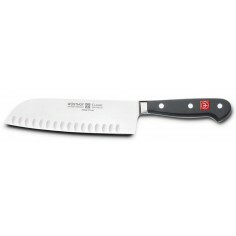 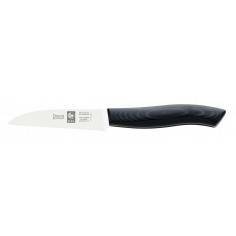 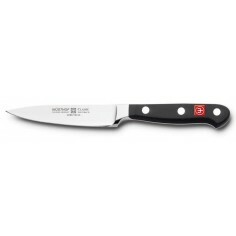 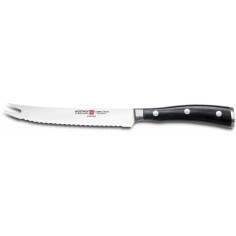 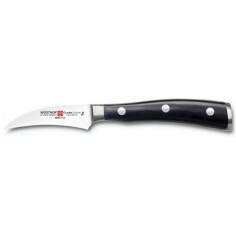 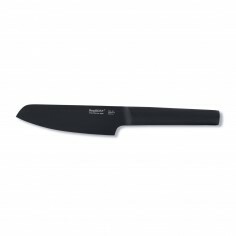 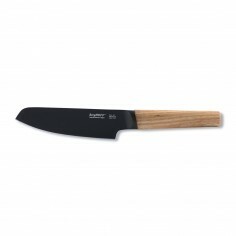 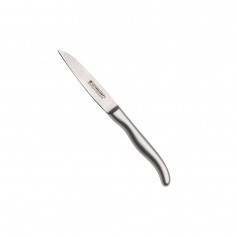 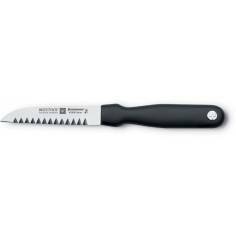 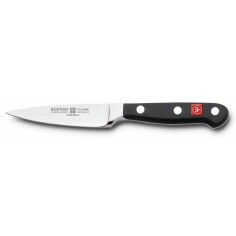 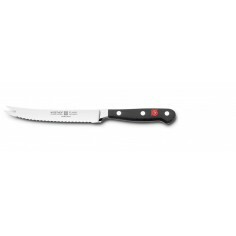 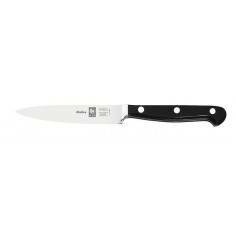 The Wusthof Classic Ikon Utility knife with 12cm scalloped blade is an essential tool for any kitchen. 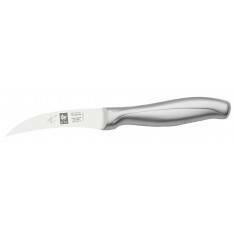 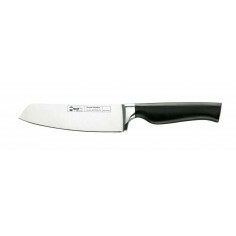 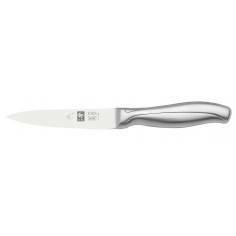 ,,Equally adept at peeling those potatoes ready for your Sunday roast,or mining shallots for Escargots de Bourgogne this knife will do it all for you. 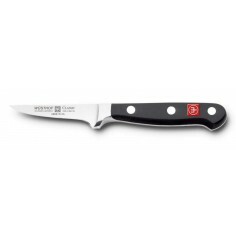 Having been manufactured from one piece of solid steel,this knife will give you a real sense of quality if not from the pure feel of it in your hand,then from the detailed and careful process in its creation. 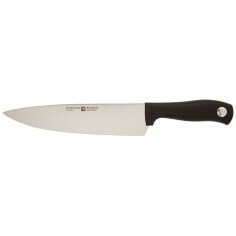 With a 58 Rockwell blade. 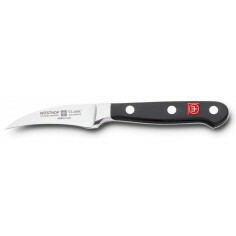 The Wusthof Classic Ikon Utility knife with 12cm blade will retain its sharpness for longer than many of its peers,thereby making it safer to use and more efficient. 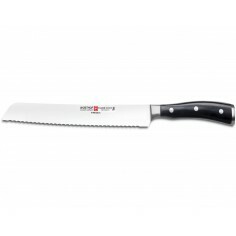 Its scalloped edge gives it the benefit of being able to chop through hard skinned vegetables such as cucumbers,but with its slightly longer blade than a paring knife it is also suitable to cut though larger foodstuffs such as bread or large fruit such as pineapples.